You may have heard already that interior designer Nancy Ruddy and architect John Cetra have been awarded a spot in the highly sought-after Interior Design Hall of Fame. At the same time, the firm CetraRuddy is launching a new kitchen collection, INSPIRA, which showcases the firm’s leadership in luxury lifestyle residential design. Ruddy and Cetra are already widely known as the designers behind such major residential works as One Madison in New York City and Choice Marina in Cochin, India. They are also known for hospitality expertise, including the Galleria hotel in Jeddah, Saudi Arabia, the acclaimed SushiSamba in London, and Miami’s Sugarcane. 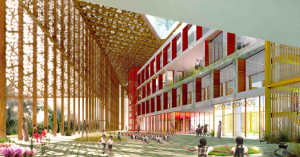 In a significant expansion for the 90-plus-person firm, CetraRuddy is working on cultural and educational projects around the world, including university residences in the U.S. and three new K-12 schools in Kerala, India. The firm’s Lincoln Square Synagogue is among New York City’s best new buildings. In New York City alone, the firm has completed both the architecture and interiors for more than 80 buildings. Selected by Interior Design Editor in Chief, Cindy Allen, and a nomination committee of previous HoF members, this year’s inductees are John Cetra and Nancy J. Ruddy of CetraRuddy; Peter Ippolito and Gunter Fleitz of Ippolito Fleitz Group—Identity Architects; Primo Orpilla and Verda Alexander of Studio O+A; and Roger P. Thomas of Wynn Design and Development. Hosted by Allen and Interior Design Publisher, Carol Cisco, the 31st HoF celebration took place at The Waldorf Astoria New York on Wednesday, December 2. Proceeds from the event benefited the Council for Interior Design Accreditation and The Alpha Workshops througha donor-designated grant by DIFFA, Design Industries Foundation Fighting AIDS. 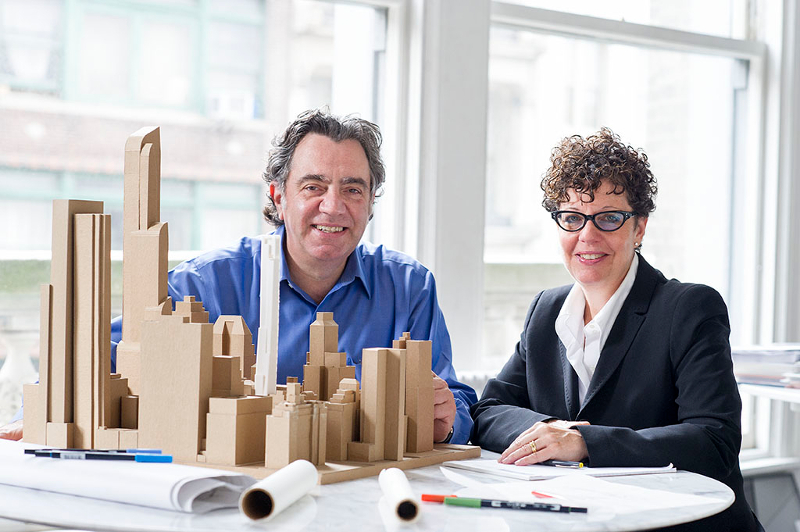 John Cetra and Nancy Ruddy co-founded the New York-based CetraRuddy on the principle that architecture should engage the urban fabric while enriching the human spirit. Through his practice, Cetra has experienced the interrelationship of architecture, urban design, and planning. 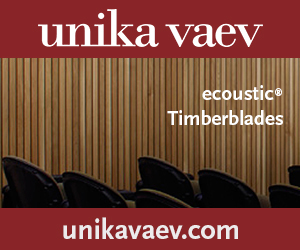 He is a recognized industry leader in tall building technologies, historic building and analytic site development. Ruddy has led CetraRuddy in the successful completion of complex projects for commercial and institutional clients. She has directed the program development and strategic planning for over 20.5 million square feet of projects. CetraRuddy’s work is about “home” whether they design a residence, a place of worship, hospitality space, or learning environment. For the first-ever designer collection by U.S. manufacturer IRP, the award-winning architecture and interior design firm CetraRuddy has unveiled the new design for a new kitchen collection, which had its public debut on November 18, 2015, at a major metro-area showroom launch party. 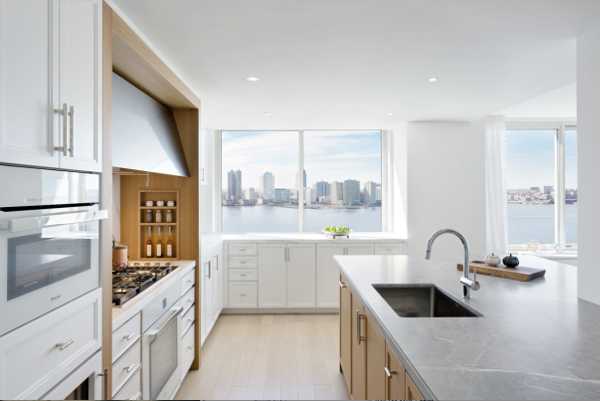 The kitchen line – named INSPIRA – has been inspired by the kitchens in CetraRuddy’s acclaimed new condominium projects in New York City, where the firm is the leading luxury residential designer. The concept has been adapted to create a captivatingly sophisticated appeal that is accessible, serene and appealing to the homeowner’s creativity. CetraRuddy, the Soho-based architecture and interior design firm, was selected for the new commission based on its lengthy record of market-leading kitchen concepts as well as the firm’s ability to bring a high degree of quality and craft to home life, says IRP. 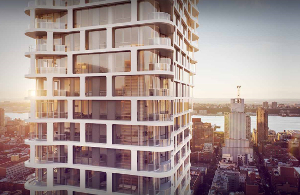 CetraRuddy is among the nation’s leading designers of high-end residential buildings and interiors, with such iconic projects as the recent One Madison and Walker Tower, among others. The firm’s kitchen designs have been featured in The New York Times, Interior Design, Casabella and other design journals. The new kitchen line, INSPIRA, combines the best ideas of traditional kitchen design with a modern, clean-lined flair, according to Ruddy, who recently spoke this year on trends in craft and design at the International Contemporary Furniture Fair (ICFF), and was inducted into the Interior Design magazine Hall of Fame in December. “The design of INSPIRA begins with a bold gesture: a crafted, architectonic proscenium in warm wood tones that surrounds the cooking center, reflecting the home’s spiritual core,” says Ruddy. “Within this elegant frame, function is finessed through refined lines and hidden hardware, full overlay doors and maximized storage, executed with warmth and memorable style.” Hand-tooled with uniquely crafted metals, woods and the glisten of glass, INSPIRA’s meticulous lines capture a chic, modern feel while embracing the best of longstanding kitchen traditions. 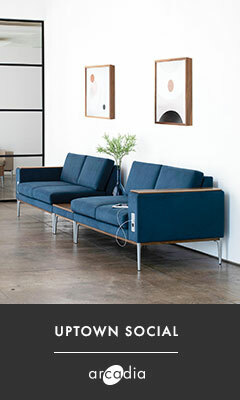 “It is an American style with international appeal,” Ruddy adds. The rich materials palette and wood-paneled portal motif and sleek, seamless joinery displaying CetraRuddy’s high level of craft and careful detailing alongside the premium finishes and appliances. In the stove area, the front drawers are clad in nickel, contrasting the American Oak and hand-selected stone from blocks quarried in Italy, to add drama and focus. The launch event took place November 18 in Port Chester, N.Y., at IRP’s double-height showroom space at 520 North Main, the site of frequent parties, talks and demos. 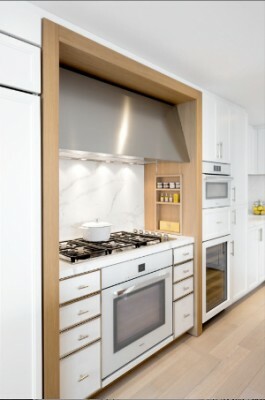 For more information about IRP, please visit www.irpkitchensny.com. For more information about CetraRuddy, please visit www.cetraruddy.com.